Brand Titles for Christmas – Bounce Sales & Marketing Ltd. 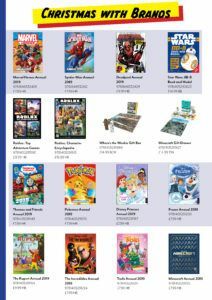 Check out these great titles from the top brands that will make the best presents this Christmas. Download the flyer and fill in the attached order form. Then contact your local rep about some top Christmas discounts.